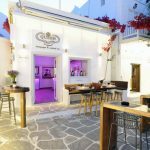 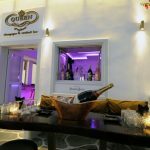 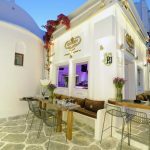 Located steps away from the beautiful center of Chora, Queen of Mykonos is an ideal setting for enjoying the vibrant local scene while sipping on your favorite cocktail and snacking on delicious appetizers. 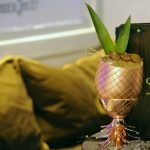 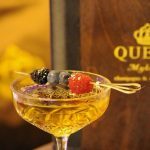 Queen is a champagne and cocktail bar, a great meeting point to mingle and sip exotic handcrafted cocktails while soaking in the cosmopolitan island vibes. 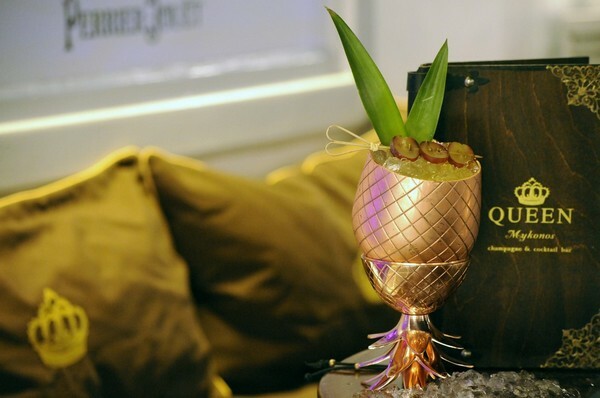 As nightfall comes, one may indulge in mouth-wareting cocktails at the bar, with endless fun guaranteed until the early morning hours. 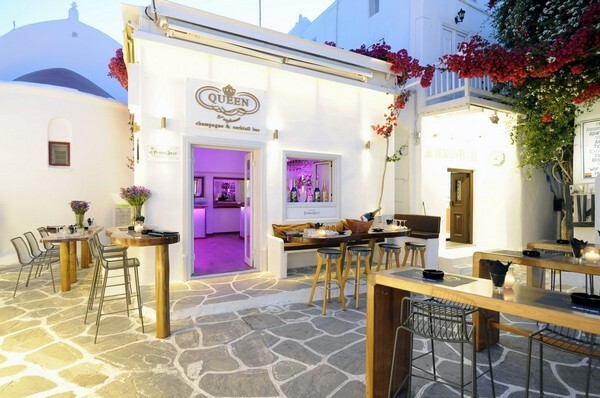 Let your memorable Mykonos experience begin at this inimitable city centered bar! 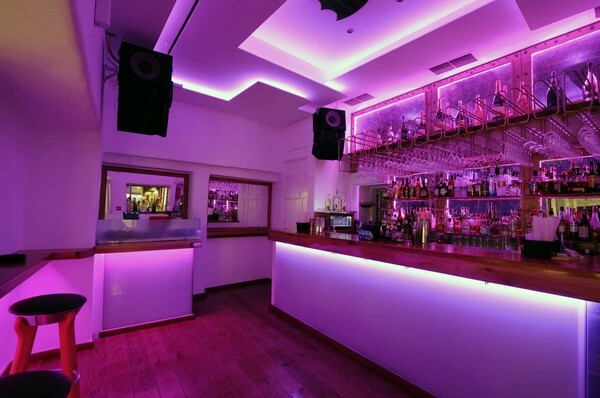 It reigns in Enoplon Dynameon str. 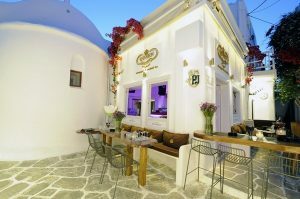 and has become the meeting point for those who wish to relax or have fun in a unique, elegant environment, in the heart of Mykonos. 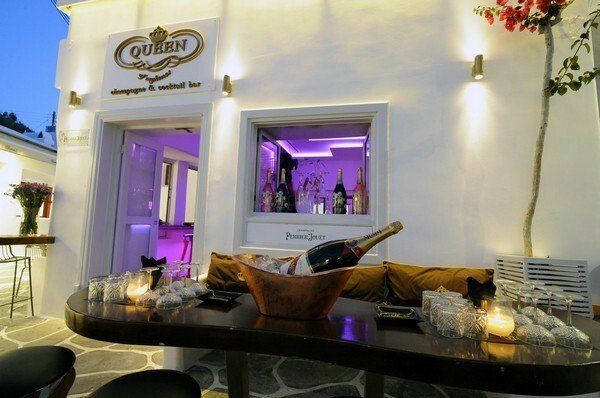 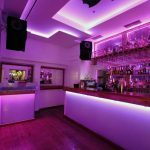 With a minimalistic decor, touches of gold, an up to date cocktail and Champaign mix list, friendly service, carefully selected music and a strategic location in the center of the promenade so that you can observe traffic from the most privileged spot, one thing is certain, that you will be impressed. 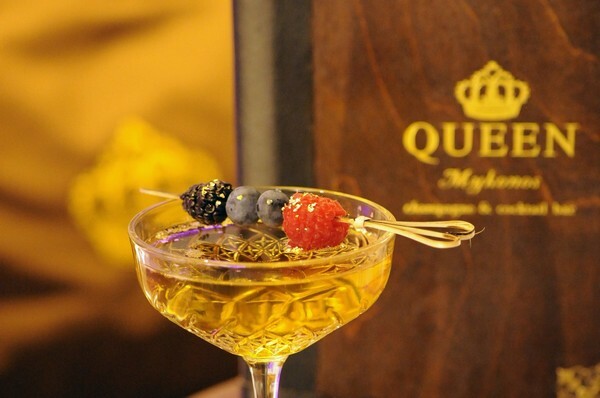 From the bartender’s list, check out the Queen’s Lover, Disturbing Chick, Summertime Madness and the Blow me.